When you are finally ready to bottle your batch of wine, you will want to place it into wine bottles. You will need a wine cork to seal the bottle. This will allow the wine to age to maturity slowly over time. 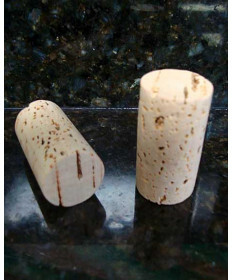 The correct wine cork can make the difference between a wine that ages gracefully and reaches its full potential or a wine that oxidizes prematurely or leaks out of the bottle because of a poor seal. 7, 8 or 9? 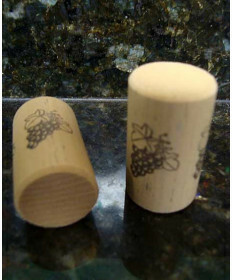 A #9 cork is the standard diameter cork for almost all wine bottles. 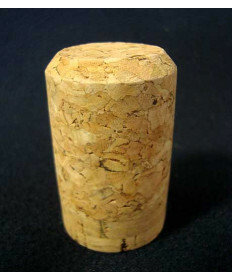 A #8 cork is slightly smaller in diameter and is generally used to stopper a Champagne Bottle. The #7 cork is used in some very small specialty bottles such as our 187 ml Champagne/Sparkling Bottle. 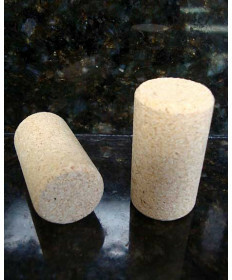 For the average winemaker making wines to be consumed within one year, we recommend a #9 x 1.5 inch long Micro Particle cork. 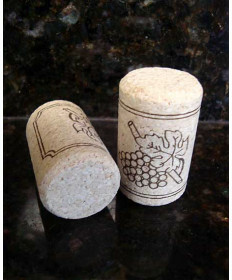 For wines intended to age between 1 and 2 years, we recommend a #9 x 1.75 inch Micro Particle cork.. For those winemakers who prefer a polymer closure, Grape and Granary offers the often used NomaCork. 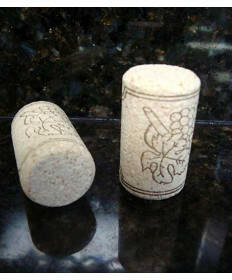 Those looking for a longer lasting cork will prefer a wine cork blend (both polymer and natural cork combined) such as the Aglica Cork which can last for five years or more. Finally, for those who prefer the most traditional cork material, Grape and Granary offers the traditional 100% Natural Wine Cork which can also last five years or longer in the bottle. 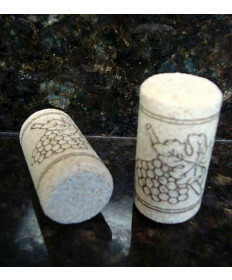 Contact Us if you have questions regarding the correct wine cork for your needs.